Home /Israeli Elections: When do the polls close, whos in the lead and when are final results announced? Israeli Elections: When do the polls close, whos in the lead and when are final results announced? 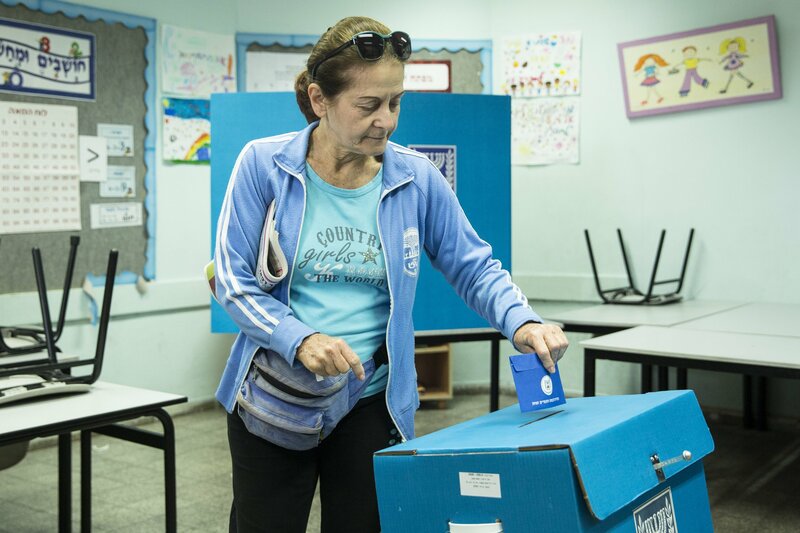 More than 6 million Israelis are eligible to head to the polls Tuesday to choose their next prime minister. At more than 10,000 polling stations, voters will cast their ballots until polling stations close at 10 p.m. local time (3 p.m. ET). The election has become a referendum on the leadership of the current Prime Minister Benjamin Netanyahu, a giant of Israeli politics hoping to secure his fifth term in office. Despite facing bribery charges, “King Bibi” is one of only two candidates considered capable of forming a government. The leader of the Likud party, 69-year-old Netanyahu is also the head of a wider right-wing alliance which includes deeply controversial far-right nationalist parties. His main challenger is former Israel Defense Forces chief-of-staff, Benny Gantz. The 59-year-old leads the big tent Blue and White coalition, and is himself the leader of the Israel Resilience Party, founded this year. The Israeli Knesset is made up of a large number of small parties. To form a majority government in the 120-seat parliament, leaders must therefore secure coalitions. When the final vote tallies come in, the leader of each party that has won seats will go to President Reuven Rivlin and tell him which party leader—realistically, either Netanyahu or Gantz—should be offered the chance to form a government. This means Netanyahu and Gantz are fighting both for seats decided by the electorate and the support of party leaders within the Knesset. Final predictions suggest Gantz and his immediate allies would win the most seats in parliament, but that Netanyahu would ultimately have the backing of more party leaders to form a government. The last polls released before voting centers opened put Netanyahu’s Likud either level with, or slightly behind, Gantz’s group. As reported by the Jewish Telegraphic Agency, the poll from Channel 13 put both Likud and Blue and White at 28 seats each, Israel Hayom/i24 News put both at 27 each, and the Yedioth Ahronoth newspaper put Likud at 26 seats and Blue and White at 30. A handful of other parties could prove vital to coalition building efforts. The same polls show the historic Labor Party at around 10 or 11 seats and the Arab-Jewish party alliance Hadash-Ta’al at six or seven seats. The far-right libertarian Zehut party, led by Moshe Feiglin, is being predicted to win five or six seats. Election day has already been marred with accusations of underhand tactics from both sides. As polls opened, it was revealed that Likud-supporting election observers were wearing hidden cameras at polling stations in Arab-majority areas, which is against Israeli electoral law. Netanyahu claimed it was necessary to stop voter fraud, and Likud said they were needed because of the actions of the Arab community. Gantz’s Blue and White coalition also accused Likud operatives of vandalizing voting slips so they cannot be counted in support of Gantz and his allies. In response, Netanyahu accused Blue and White supports of doing the same to Likud votes. Neither side presented evidence to support the claims. Exit polls will be published at 10 p.m. The final results and winners should be clear by dawn on Wednesday, The Guardian reported, with the contest then moving into its next stage—intense negotiations and coalition building. This could take some time, and in 2015 it took Netanyahu more than a month to form a government.